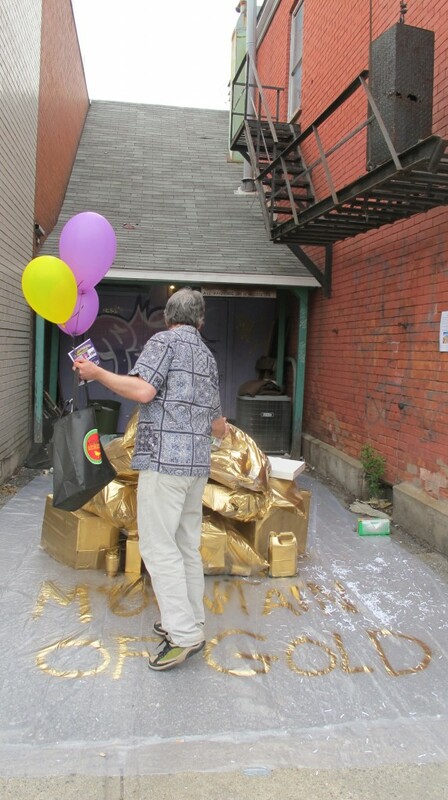 Speaking w/ Don about the festival, the neighborhood, and the community that lives there, we learned about the gold mountain, and decided to do a performance art piece called Mountain of Gold, creating a mountain of golden garbage, with the idea that such a mountain would be attractive from afar, but not as expected up close. 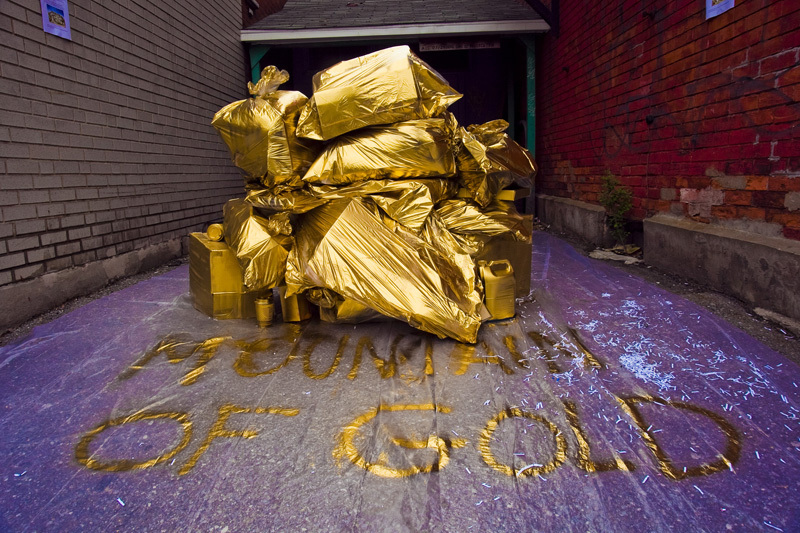 The idea that North America offers a “Mountain of Gold” is an ideology held by many Chinese immigrants. 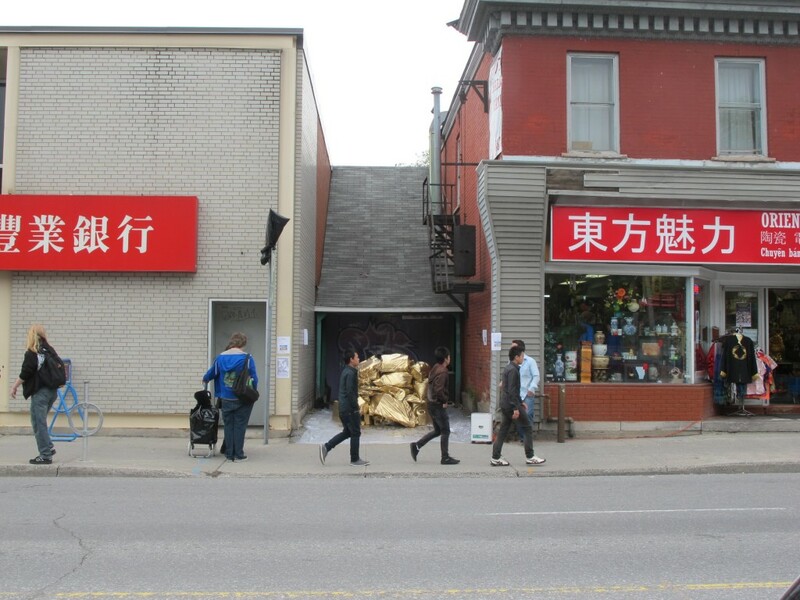 These newcomers believe that their adopted homeland will offer a vast array of exciting potential and opportunities. 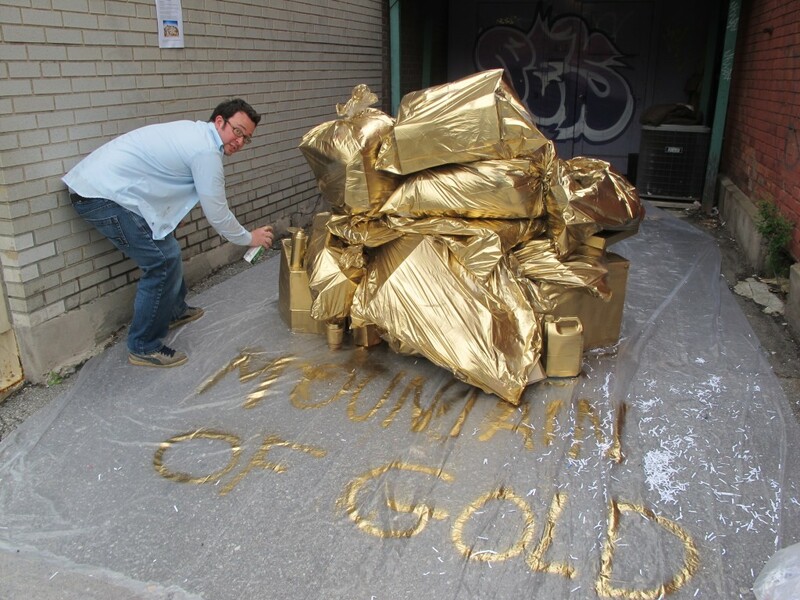 Sadly, for many, this idealized Mountain of Gold, ends up lackluster — gleaning instead with unfulfilled promises and dreams. 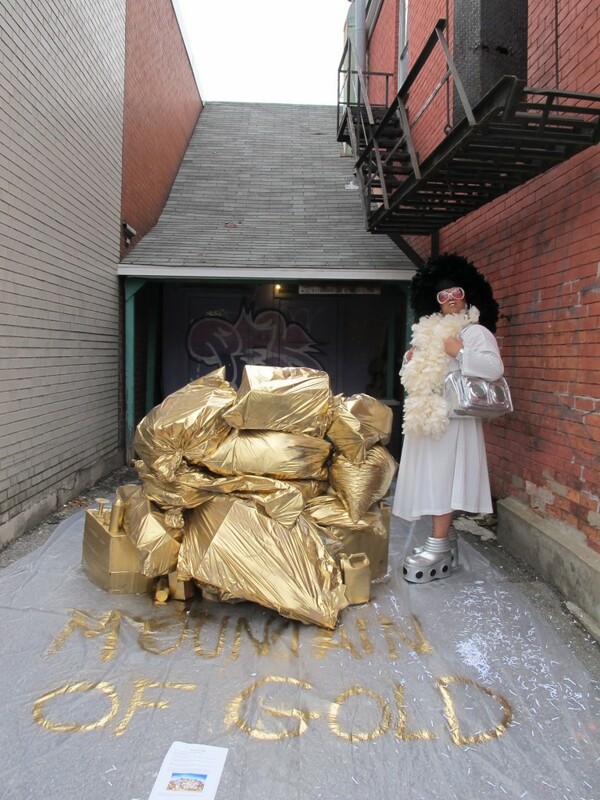 To symbolize this metaphorical mountain, The Latest Artists offer a performance piece in which a mountain of golden garbage was generated into a large, heaping pile over the course of the Chinatown Remixed opening day festivities. 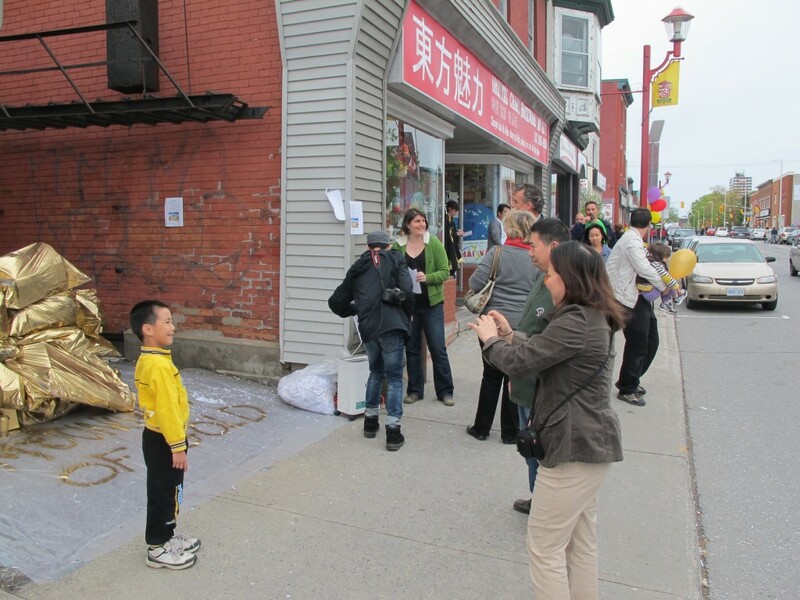 Shredded bills, symbolic of lost and wasted money, contributed to the large garbage pile. 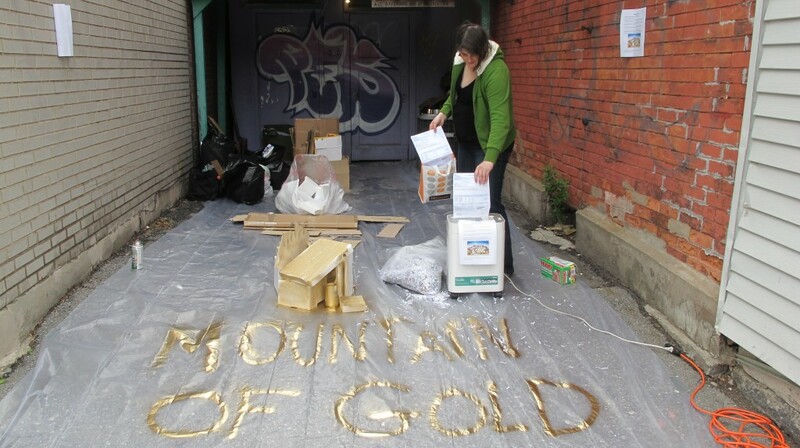 The piece also intends to elicit questions about the wastefulness of art and general societal resources. 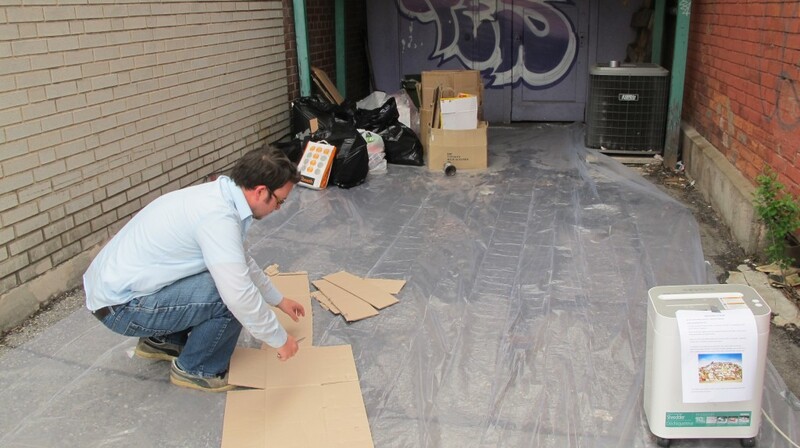 We were situated perfectly in an alleyway, which we promptly tarped before starting work on the foot of our mountain. 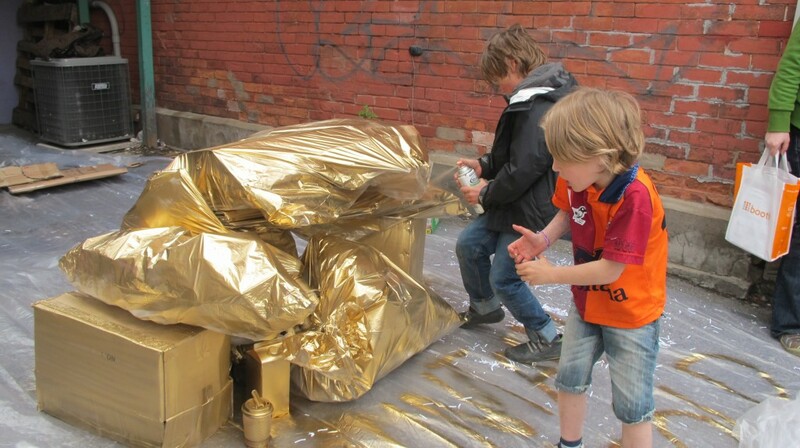 I’d also expected the general public to be disgusted by the spectacle, calling attention to the material waste and pollution generated by painting a garbage heap with golden spray paint.